It’s hard to believe that fall is already upon us. Fall has become one of the busiest times of the year for home improvements. With winter in the not too distant future, it’s important to ensure your home is prepared to withstand the winter weather. One of the most important areas of your home to withstand the elements is your roof. It’s Possible Your Roof Has Seen Its Last Days due to the Summer Heat Summer heat, wind, and thunderstorms can put a lot of pressure on your roof, especially if you’ve had your roof for 15 years or more. If you have an older roof, it’s possible this summer has marked the end for your current roof. If your roof is on its last legs it’s important to address it during fall, so it doesn’t create issues during the winter. You Want to Make Sure Your Roof Is Ready for the Winter Freeze You never know what the winter can bring. Replacing your roof now ensures your roof and the rest of your home is protected. The winter freeze can create more costly damage and repairs to roofs that are in need of replacement. The Roofing Season Ends in the Fall, Better Do It Now Before It’s Too Late Replacing your roof before winter sets in is important. Winter repairs are much more difficult, unpredictable, and difficult to manage. Sometimes You Can Find End of Season Deals for Roof Replacement Everyone likes to get a good deal right? Fall is a great time to look into roof replacement deals. Why wait until spring and summer when everyone else is getting their roof done? Take advantage of the deals now! A New Roof Goes Nice with Fall Colours A new roof looks great during the fall. As the leaves change colours, a new roof protects your home from common debris such as twigs, leaves, and other items that tend to get blown onto your roof and in your eaves. Perhaps You’ve Already Put the Project Off Long Enough? We get it. You want to get the most out of your roof. You want to squeeze out as much time as possible. However, waiting too long could do more harm than good; especially if you have a roofing issue you are unaware of. If you have put your roof replacement project off long enough, fall is the perfect time to get it done. 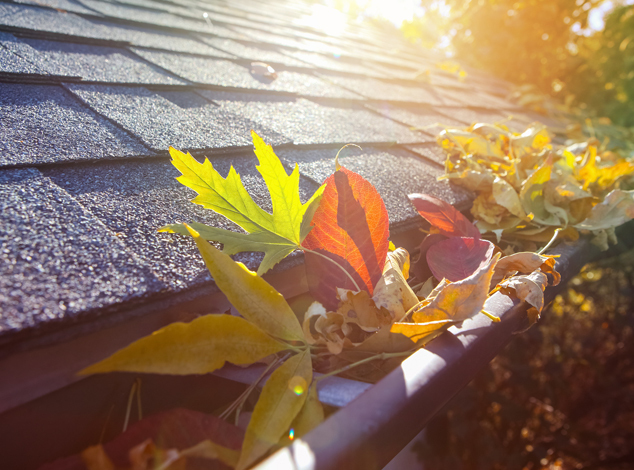 Getting your roof replaced during the fall makes sense for many reasons. It will ensure your home is protected when it needs it the most. Plus, it will give you the peace of mind in knowing you have a new and reliable roof. Is Spring The Best Time To Get Your Residential Roof Replaced?